Map to the Theatre Welcome to Bones Theatre! The 13th Annual Free Family Film Festival - Summer Edition is Coming Soon. 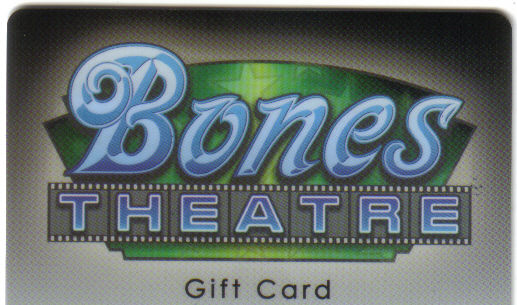 Bones Theatre Gift Cards make a great gift and can be purchased online or at the theatre during normal business hours. Every week we randomly select one person on our Email List to receive 2 complimentary tickets to any movie at Bones Theatre. Make sure you are eligible to win. Sign Up for our Weekly Email HERE! Bones Buckets: The initial price for the actual Bucket is $20.00. A refill of the Bucket is $6.00. They make great “Welcome to the Neighborhood" Gifts”, “Congrats on the Promotion” Gifts, Birthday Gifts, and Christmas Gifts! Come to Bones Theatre on your birthday and get free admission and a free Kids Combo regardless of your age! Watch this great little Youtube video! Purchase Tickets Online: Purchase tickets in advance for any current movie. Every Wednesday is "I Love Bones Theatre" night. Say the phrase "I Love Bones Theatre" when purchasing your ticket and receive a FREE small popcorn. Bones Theatre has a new presence on Facebook. Check it out. 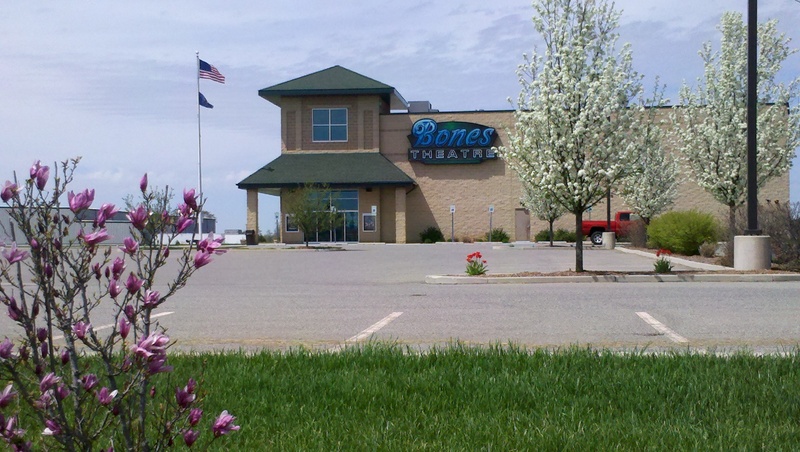 Bones Theatre is on Twitter.